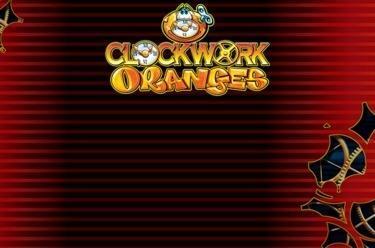 Play Clockwork Oranges online for free now! The clock is ticking! But don’t worry, in this Fruitilicious slot machine the clock works for you! Spin the 5 reels and get sacks full of Twists on your account with the right combinations across up to 20 win lines. 3 Oranges on reels 1, 3 and 5 additionally reward your efforts and let the clock run by your rules in the feature game! Your aim is to land 5 matching symbols along an active win line. All winning patterns start on the left and run along the win lines to the right. You win if a sufficient number of matching symbols lands side by side without being interrupted by other symbols. 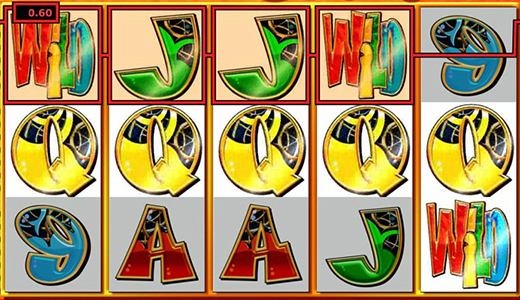 'WILD' replaces all symbols except Scatter and completes your winning combinations. 3 Scatter symbols (Orange) get the winning clock going! 3 Oranges on reels 1, 3 and 5 trigger the feature. At first you decide with the 'Start' button randomly how many hands you will play with. Then a winnings clock with 12 fruit symbols appears on which either 1, 2 or 3 hands are displayed. The display at the side lists all of the fruit symbols on the clock as a triple combination. The hands move, but once they stop, the symbols to which they point to light up on the display. 3 matching, lit up symbols win a multiplier (x total bet). 3 lit Oranges win the super feature! When this is the case, the hands move progressively from fruit symbol to fruit symbol to light up as many symbols on the display as possible. At the end of the feature, all winnings are added up.